The Steelers first-team defense played one series into the second half, which worked out to seven offensive possessions for the Titans. On those seven possessions, the Titans’ scorecard read: no points, five punts, one turnover on an interception by rookie Terrell Edmunds, and a one-play possession at the end of the first half that was nothing but one kneel-down to run out the final three seconds. 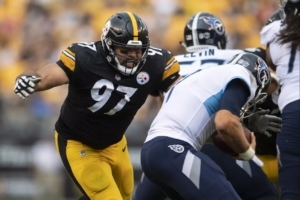 Cam Heyward and Stephon Tuitt combined for four tackles and two sacks, and Vince Williams added three tackles of his own and another sack. 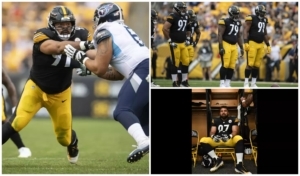 For the Steelers to be solid against the run, Heyward and Tuitt have to be playmakers but also space-eaters, and the play of the inside linebackers is something to be monitored as the unit continues the process of adapting to the absence of Ryan Shazier. Listen as Heyward and teammates weigh in on the win. Photos from the lens of Karl Roser. View more.